and thanks to the Ribbon Retreat I think it turned out adorable. It's perfect for a summer day full of parades, bbq's and soaking up the sun. Not to mention it is soooo quick and easy. And bonus, it's self lined! Yeah! 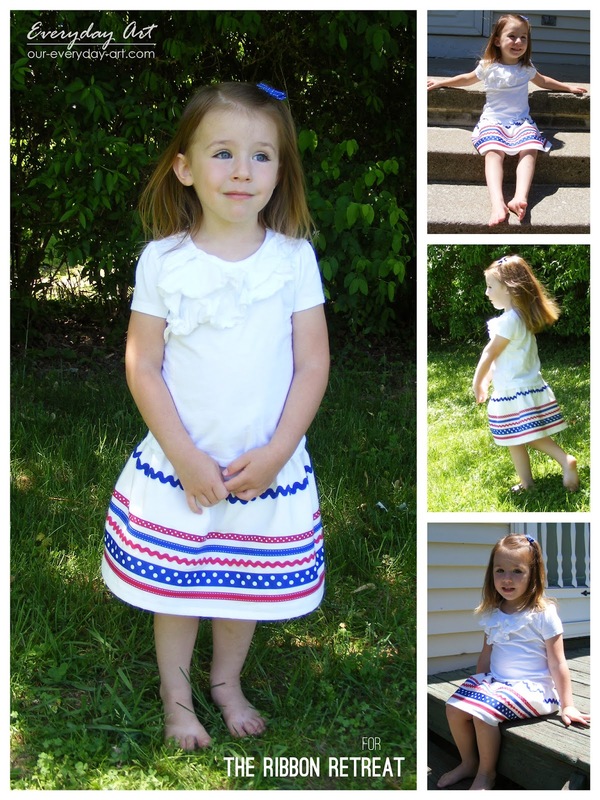 Want to make one for your little girl? 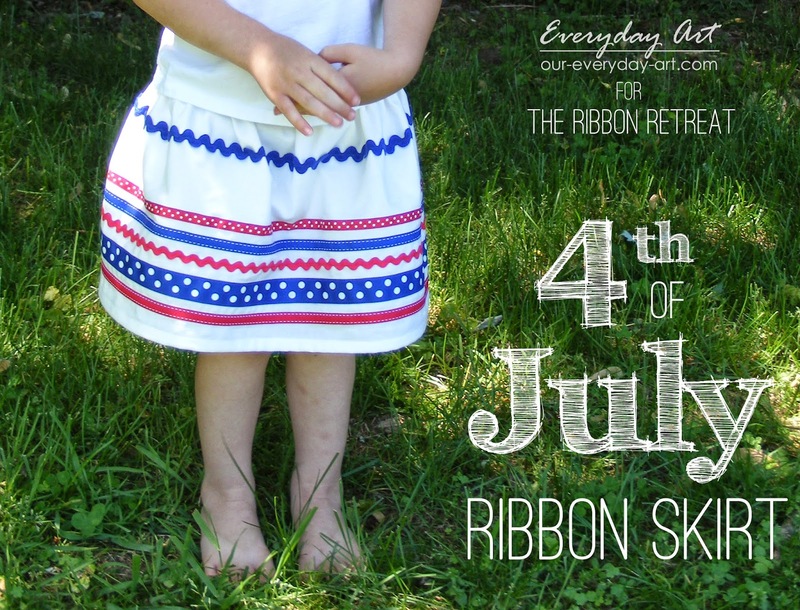 Decide what ribbon you want, and where. WARNING this is Seriously the Hardest Part! 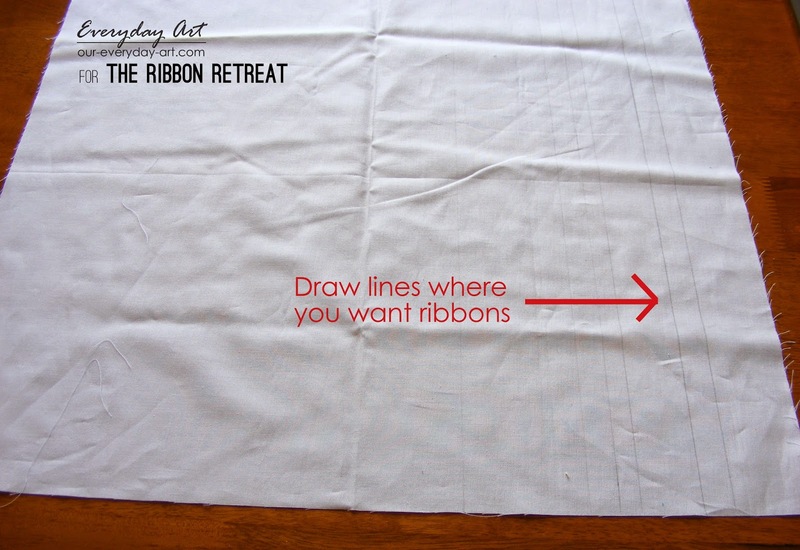 Using a ruler, draw lines where you want your ribbons. The lines should run from salvage to salvage. 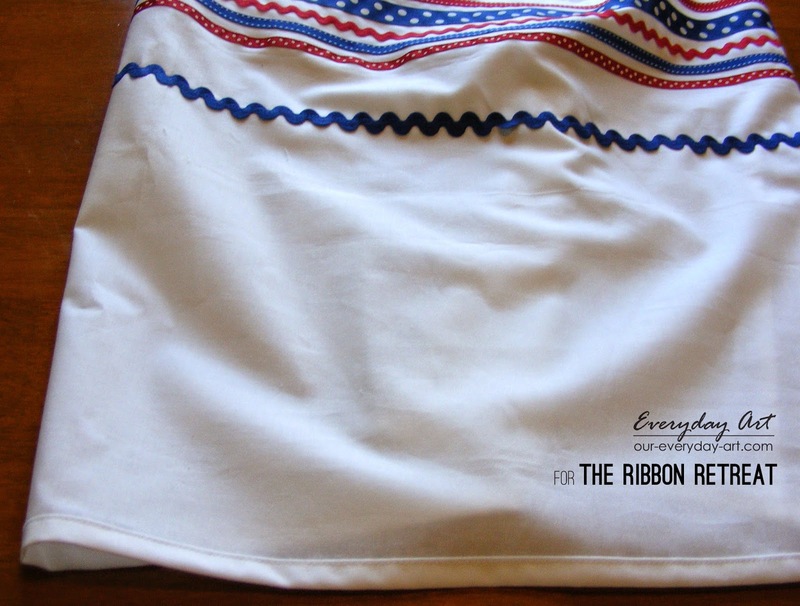 Also, remember this piece will be folded in half, so keep all the ribbon etc. on ONE side! 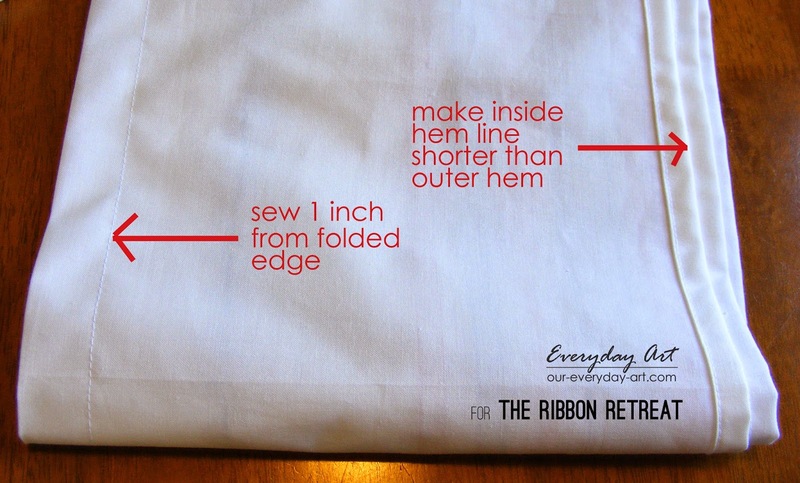 Instead of pinning the ribbon in place, just lay it along the line you marked as you sew it on. 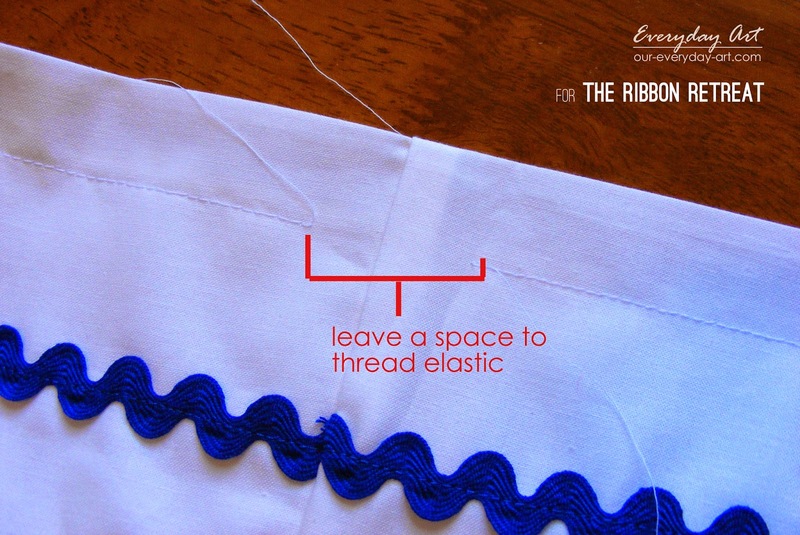 Sew down the center of the rick-rack and along both edges of the ribbons. 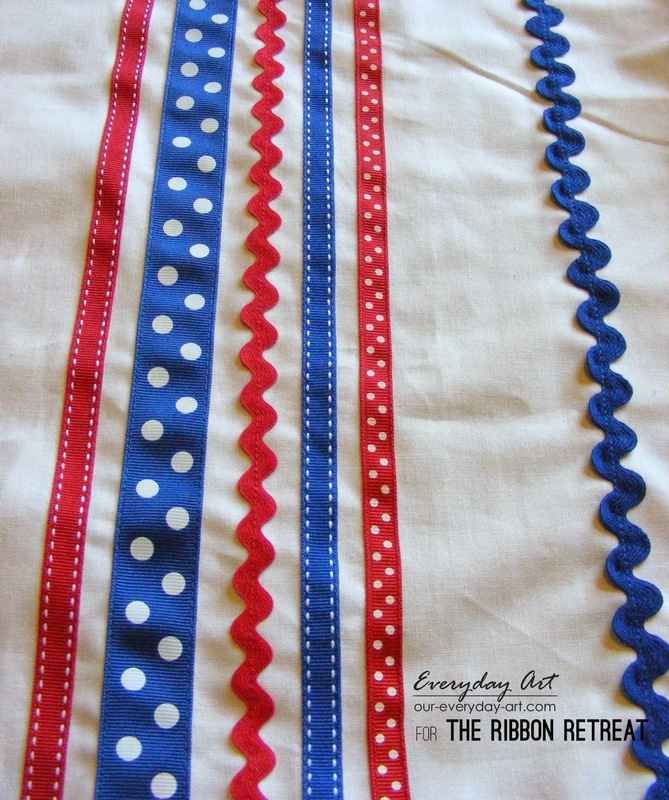 Add the next color of ribbon. sew 1/2 inch from edge, making a big tube. 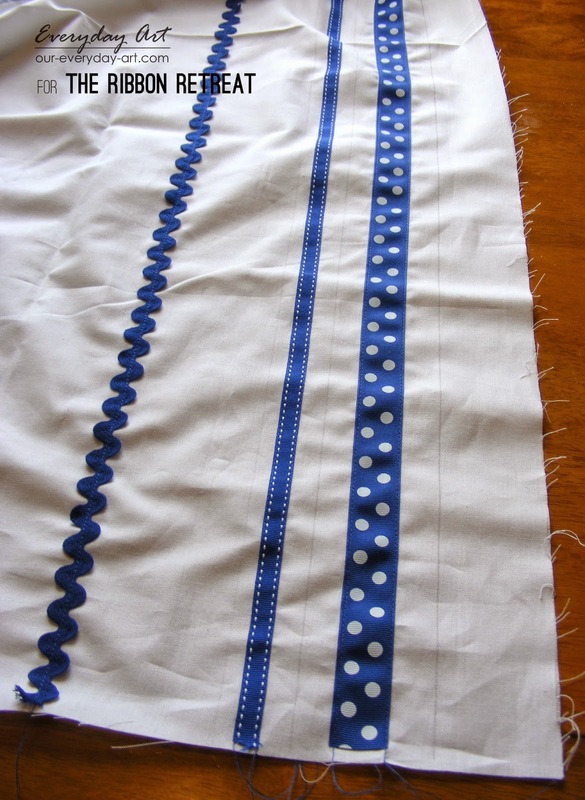 Hem the bottom front edge of the skirt by folding the raw edge under 1/2 inch and then 1/2 inch again. Iron and stitch in place. Now fold the other raw edge up 1/2 inch and 1/2 inch again. Iron and stitch in place. a little longer than the hem on the inside layer. Iron. 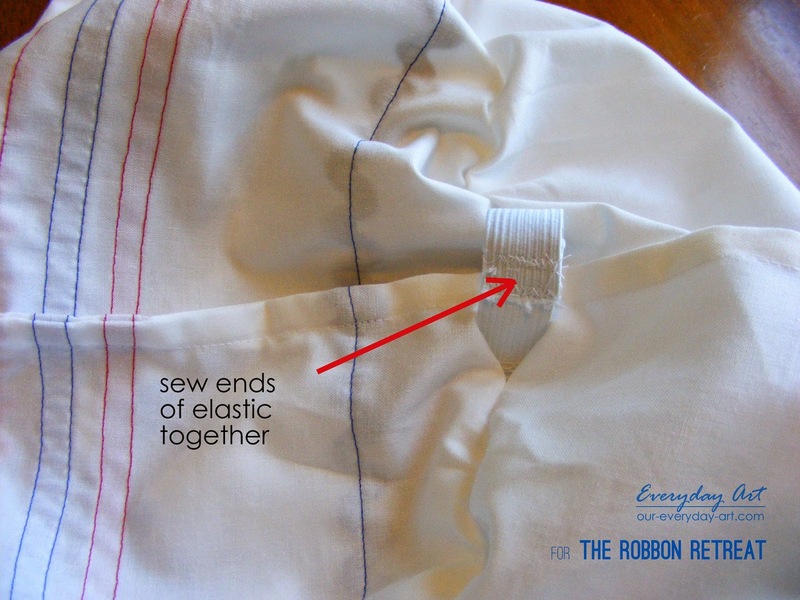 Sew 1 inch from the folded edge, leaving a small gap in the back to thread elastic through. Cut a piece of 3/4 inch elastic equal to your waist measurment. 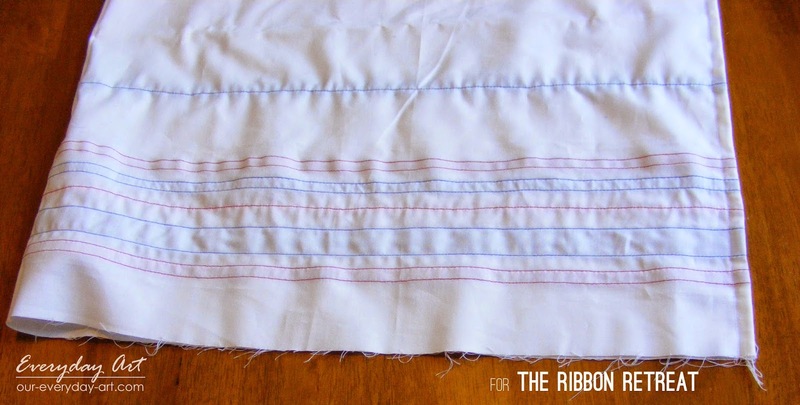 Lift the top layer of the skirt and thread the elastic through the gap left in the back. 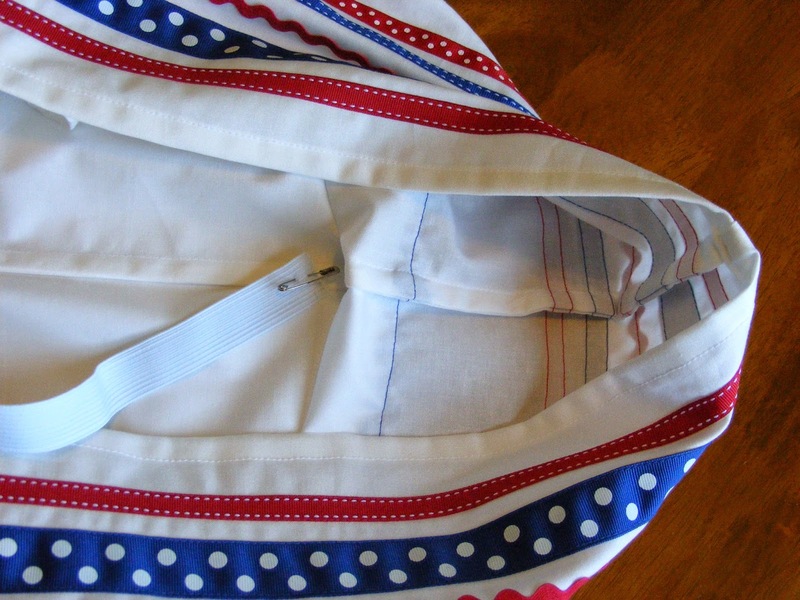 Put the top layer back in place and stitch the gap closed. 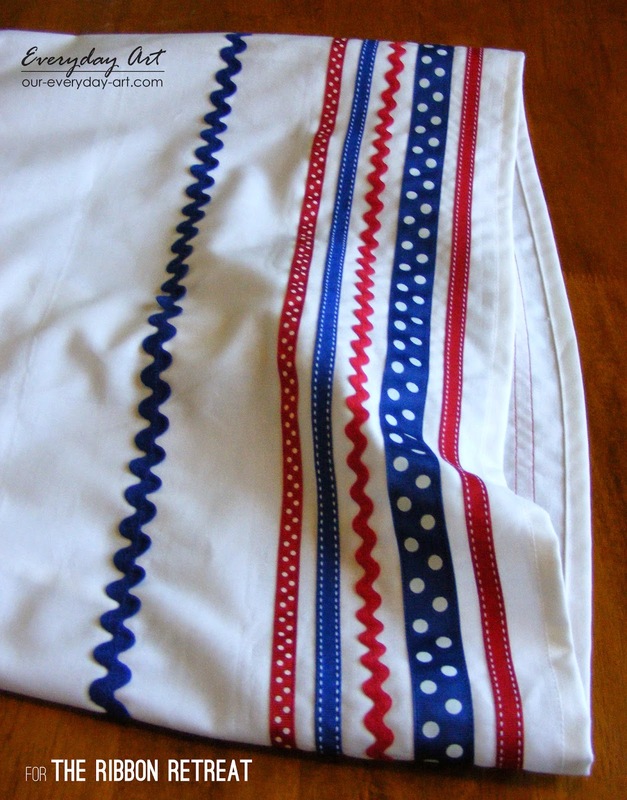 Your skirt now has a cute top layer with amazing ribbon and a lining underneath for a little added modesty. 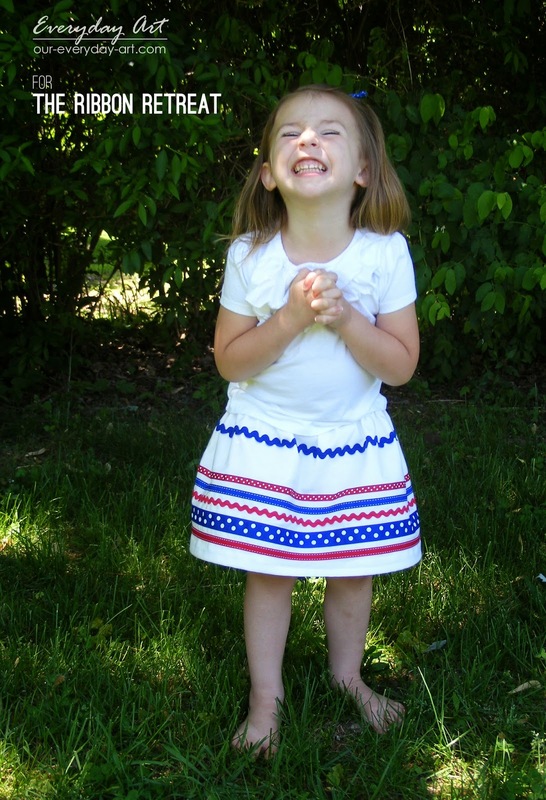 And one extremely happy little girl! And of course plenty of left-over ribbon to make some adorable bows! Thanks again to The Ribbon Retreat for all the fun supplies. Here's a list of what I used. 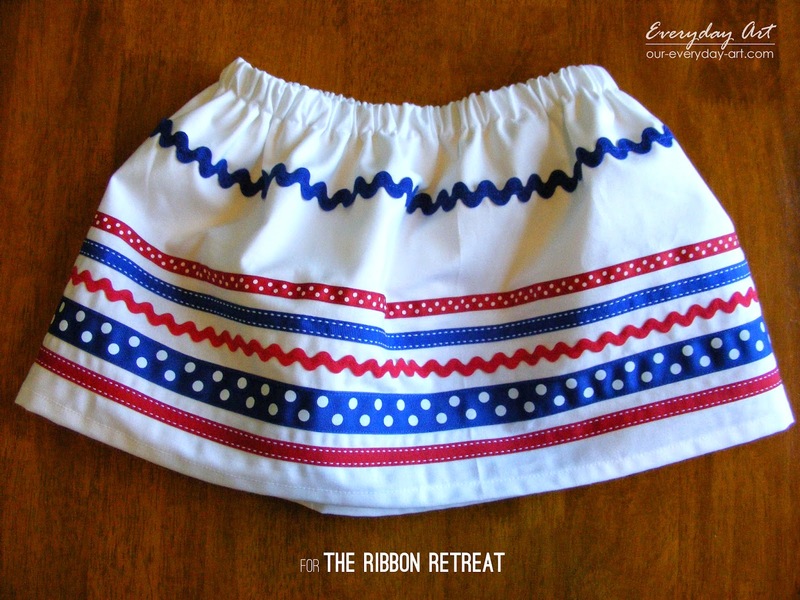 Super cute--and a good way to use up that ribbon stash!